The Charter of the United Nations was signed in 1945 by 51 countries representing all continents, paving the way for the creation of the United Nations on 24 October 1945. 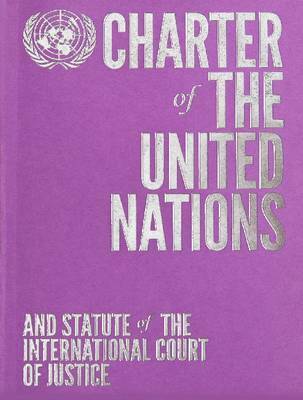 The Statute of the International Court of Justice forms part of the Charter. The aim of the Charter is to save humanity from war; to reaffirm human rights and the dignity and worth of the human person; to proclaim the equal rights of men and women and of nations large and small; and to promote the prosperity of all humankind. The Charter is the foundation of international peace and security.